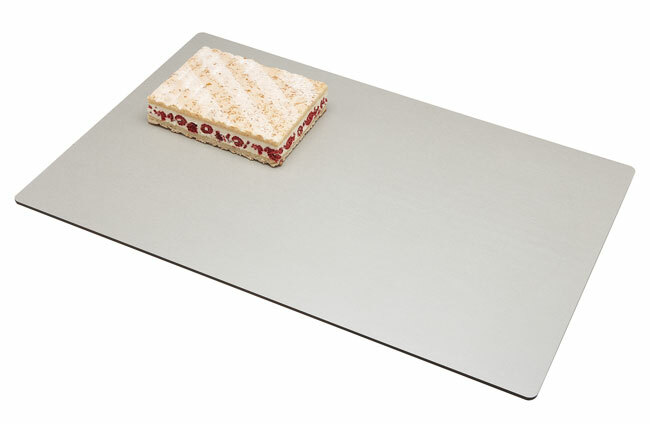 Double-sided, ultra rigid and non-deformable melamine resin tray without edges. Dishwasher safe. Suitable for temperatures -4°F to +185°F. Approved for food contact. Ideal for storing chocolates and for preparing fragile desserts. Length 23 3/4", Width 15 3/4", Height 1/4"